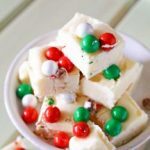 Simple homemade fudge recipes like this White Chocolate Holiday Fudge make edible holiday gifts so easy. 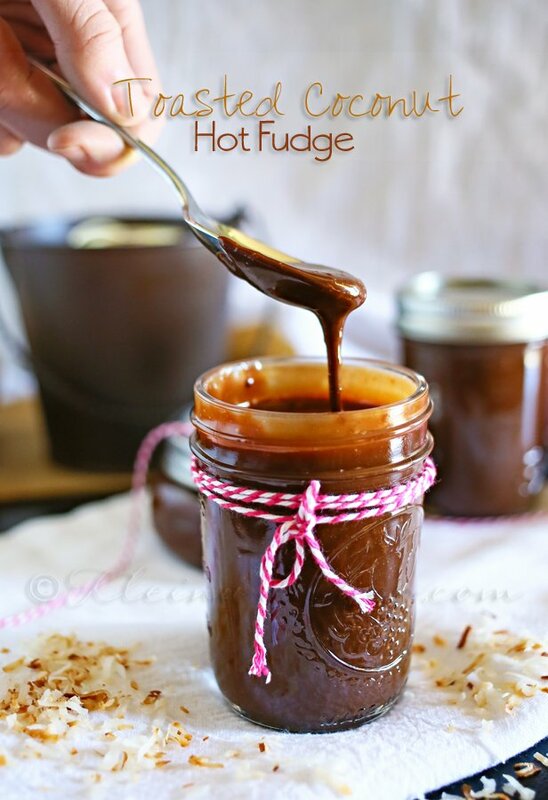 Just 3 ingredients & a few minutes is all it takes. WOW – Christmas is tomorrow. How is that possible? That means that today the hubs comes home & I’m spending the day working on the last minute recipes to enjoy tomorrow. 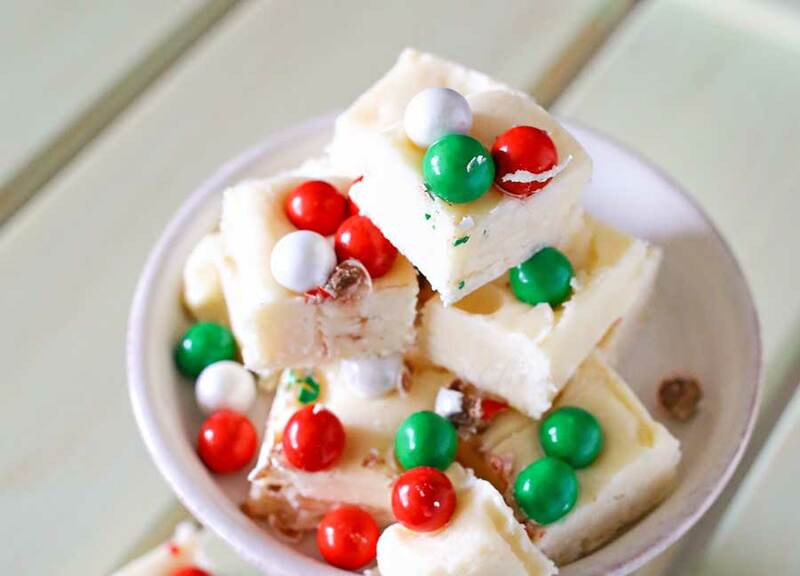 One of my favorite treats during the holiday season is fudge. We have been sharing a whole heck of a lot of it here this year. Just can’t help myself. I have made so many batches & I have so much to share with you. I didn’t even get around to sharing it all this season. 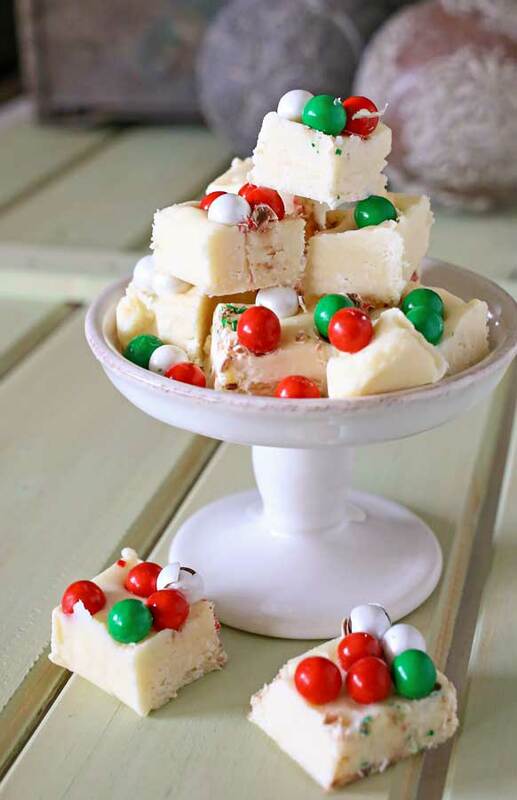 So I guess next year you will be in for more delicious fudge recipes come holiday time. I’m already looking forward to it. I found these holiday colored sixlets at my local Winco Foods here in town. They have the best bulk item section. It’s not uncommon for me to spend the bulk of my trip wandering this section & loading my cart. When I saw the holiday colors in these tasty little candies I knew I had to grab some. 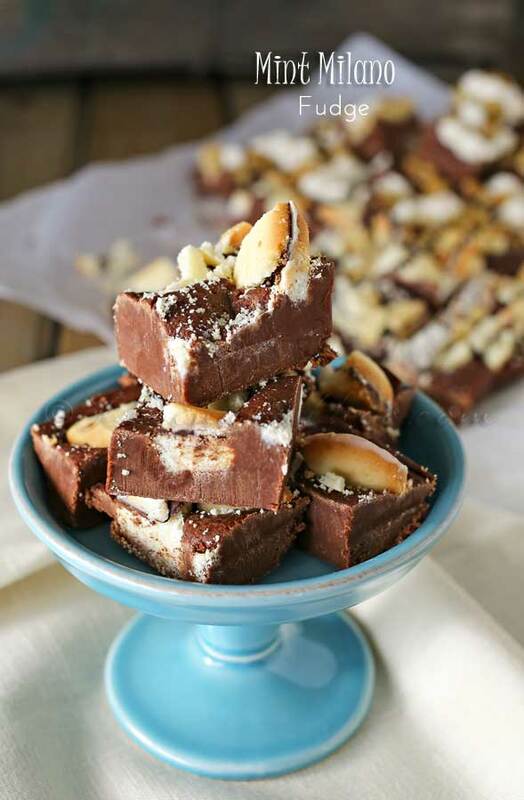 I immediately wanted to top them on some fudge because look how pretty they are!!! I just love them. 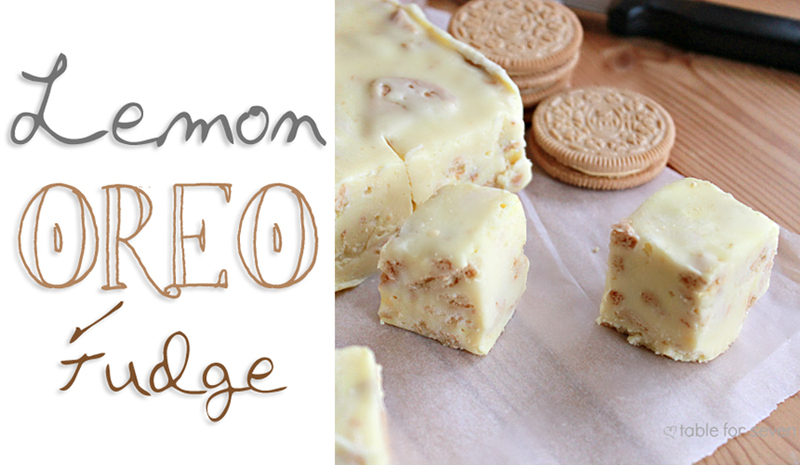 For this recipe I chose our simple 3-ingredient white chocolate fudge. Then I topped it with Christmas colored sixlets- it’s that simple. With it being this easy it makes it quick to knock out all you neighbor gifts in just a few minutes. 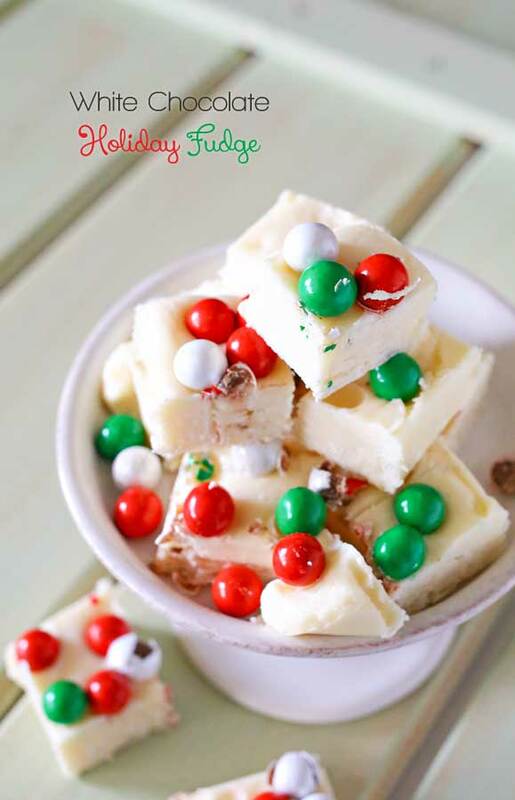 Looking for more easy fudge recipes like this White Chocolate Holiday Fudge? Mm sounds and looks amazing. Have a very very merry Christmas! Thank you so much Tamar!! Love & hugs.